Hundreds of children, some younger than two, are being abandoned in Poland by parents chasing dreams of a new life in Britain, The Mail on Sunday can reveal. The terrible legacy of the mass migration encouraged by Tony Blair's open door to job-seekers from former Eastern bloc states joining the European Union can be disclosed for the first time today. A Mail on Sunday investigation can reveal that parents are dumping children in Poland's state-run orphanages before heading to London. Even more tragically, some youngsters have killed themselves after being left with elderly relatives - while others have turned to drugs and crime when they were abandoned by their migrant mothers and fathers. An estimated 600,000 Eastern Europeans have come to Britain since EU enlargement in 2004 - 300,000 of them from Poland. And while other established EU countries, including Germany and France, imposed strict quotas on how many they would allow to work, Mr Blair decided to give these new citizens unrestricted access to Britain's labour market - encouraging thousands of poor and unskilled Poles to take a chance on a new life in the UK. Little Ania Siebielec is one of those suffering the consequences of that decision. This sad little girl - two last month - was abandoned at a Polish orphanage because she stood in the way of her mother Sylwia's dreams of a new start in Britain. While the other children at Orphanage Number One in the city of Wroclaw in southern Poland laughed and played in the sunshine yesterday morning, Ania sat withdrawn. "Two months ago Ania's mother turned up here," said Jolanta Dutkiewicz, the orphanage's director. "She showed us a one-way bus ticket for London and said she wanted us to take Ania. "She gave us no choice. She said the girl's father was in prison and there was no one else. She said if we did not take her, she would simply leave her at the bus station. She brought the little girl into our office, handed us a few clothes and then simply left. She said she would call when she was settled, but we have heard nothing. "We have no address for her, nothing. It was like the girl was an inconvenience standing in the way of her getting a better life. There was no thought about what it might do to the little girl." But Ania is not alone. Her story is being repeated across Poland. No one is yet prepared to put a figure on how many children have been abandoned as their parents seek their fortunes abroad. Polish politicians are more concerned with stemming the flow of key workers leaving their nation than with the youngsters they leave behind. But last week The Mail on Sunday found at least a dozen deserted children in a handful of orphanages we contacted. Add to this at least two cases of children committing suicide after being left at home by parents who found work in Britain and it seems a widespread tragedy is unfolding. Earlier this year in Wroclaw, the 14-year-old daughter of a professional woman who had gone to work in London as a highly-paid City PA killed herself. The girl was being looked after by her 17-year-old sister. But after becoming depressed when work pressure prevented her mother returning home, she jumped from an electricity pylon. Some of the children left behind are abused or become involved in drugs. "They get into trouble with the police, the courts intervene and they end up in an institution," said Richard Zielinski, chairman of the Polish Crisis Centre for Mothers and Children. "No one yet knows how many kids are affected, but there are hundreds already. It is not yet an avalanche, but more and more children are being abandoned by their parents because of fairytale stories about the riches to be earned in Britain and other Western countries. "Many mothers I have come across hear fantasies of how much money they can earn simply cleaning houses in Britain. "These are not highly educated Poles who can and do find good jobs in the EU. These people have very little. They are often living on state handouts here. They are desperate to get a better life but they know they can do nothing with their children in tow." Beata Rostocka, a social services manager in Wroclaw, said she despairs of this harrowing trend. "We often get phone calls from mothers and fathers saying they are going to the UK or Ireland to work and asking if we can provide for their children's safe-keeping," she said. "It leaves me aghast." But it is not only ill-educated and unskilled workers who are guilty of abandoning their children in order to seek a new life. The official said that earlier this year a trained nurse asked to drop off her 18-month-old daughter and two-year-old son at an orphanage so she could take up a contract in Ireland for a few months. "The mother didn't seem to realise how terrible this was," she said. "Orphanages are not warehouses." In the city of Katowice, orphanage director Halina Kurasz tells haunting and similar stories. "I've seen several cases, mostly in the past six months," she said. "There is one mother who left six children so she could separate rubbish in Germany. The youngest child is four, the oldest is 16. "Sometimes she comes back and takes the older children off to Germany for a bit. But it's only the older ones. If she took all six children, that employer wouldn't want to hear from her. "This year two other mothers left children to go off to Italy. One of them left her daughter promising she would come back and get her soon. But she phoned at Christmas to say she wasn't coming after all. "The girl was terribly upset. We looked for her father but when we found him, the girl didn't want anything to do with him. Another mother went away and never even phoned. She left three children. One of them was only a toddler. "These are mostly young mothers without any support from family or anyone. By the time they bring the children to us they are at their wits' end. They are ashamed to admit to their poverty." She added: "I think this is only the beginning of the phenomenon. For years the men have been going off from Poland to work in other countries. But now it's the women." Waldemar Wieczorek, head of social services in Darlowo in north-west Poland, said: "This is a new, very serious problem. It is against the law for people to just dump their children in this way. "But we would never refuse the children help. We try to find another family who might look after them for a few months." Adas Solek was a bright, studious 14-year-old. Earlier this year he killed himself while staying at his grandmother's home near Krakow. His businessman father and his mother had both given English lessons to local children. A few months before the tragedy they decided to make a new life for their family in Britain - intending to bring Adas and their three other children over later. Athletic and popular at school, Adas was found hanging from a mountaineering rope that belonged to his father. A note to his parents, written in English and given to his best friend the day before, read: "I tried to warn you, but everyone ignored me. I tried to say it loud and clear." His friends said Adas had wanted his parents to come home and was fearful of the changes they intended to make to the family's lives. Local child-care professionals say the impact on the children is likely to be severe and long-term. "You cannot just toss your children into an orphanage," said Warsaw-based psychologist Katarzyna Korpolewska. "Even if you do have 'genuine' grounds, it still comes as a severe shock to them. They do not understand they will be left behind for just a short period of time; they think they have been abandoned for ever. The child will invariably never recover from the experience." In the majority of the cases the absconding parents will not find it easy to recover their children. They will find themselves before a family court and may have relinquished guardianship for ever. Back at Orphanage Number One, Ania sits forlornly on a swing surrounded by the laughter of other happy, playing children. The local authorities have applied to have her made a ward of court. Her mother will be stripped of all parental rights and the process of putting her up for adoption will begin. Last night The Mail on Sunday tracked down her paternal grandparents, Aniela and Ryszard Siebielec, to a tiny flat in a village 20 miles from Wroclaw. They share the two-bedroom home with their older son, his wife and two daughters. Aniela Siebielec is horrified by what her daughter-in-law has done. "Sylwia never told us what she was doing," she said. "She told us she was going to stay with her brothers in London. One of her brothers, Robert, who washes dishes in a bar, told her she could make a lot of money. He told her to come over. "Sylwia assured us Ania was being looked after by a friend. We cannot believe she would be so heartless and take her to an orphanage. I am in my 60s, I have a heart condition, I could not look after Ania. But I cannot believe a mother could feel so little for her child that she could do this. "We have had no contact with Sylwia since she left. It was only by chance that we found out what had happened to little Ania. Since her mother has so little feeling for her, perhaps this is for the best. Perhaps she will be found a new family and get a better life." Last night the authorities confirmed they intend to put Ania up for adoption. Director Dutkiewicz said: "Her mother has given up all rights to her daughter. Most normal people could not even contemplate abandoning their children." The Mail on Sunday traced Robert Siebielec to his lodgings in West London, where he confirmed he had housed his sister after her arrival. Now, however, he has reported her missing to police in Acton. He said: "She always told me she intended to go back to fetch Ania. She said she had no prospects in Poland. Now she has disappeared and I am very worried about her." At the orphanage, Ms Dutkiewicz said: "We are trying to give Ania all the love and affection we can. "She doesn't smile, she can barely speak. She does not really play with the other children. Ania doesn't ask for her mother. She is a very frightened and confused little girl. "Once the courts have done their job, we will try to find her a new family. We will try to find her love and someone to cherish and protect her. It is what she deserves." Just, what, two days after figuring the Poland-Ukraine team to be in the best (or perhaps “least bad”) position to bag Euro Cup 2012 hosting privileges, a nice new low was reached in Polska football corruption. State prosecutors representing “several hundred” clients in the town of Czestochowa investigated Poland FA (PZPN) HQ under auspices of a case involving undelivered World Cup tickets. In short, Czestochowians paid for tickets to Team Poland’s matches in Germany and never got them, thereby giving prosecutor Stefan Rozmuszcz and his guys leave to search PZPN headquarters and ticket distributors. According to Polish media, the national government is reportedly ready to move in and assume emergency management of PZPN. What’s stopping them? The joint bid with Ukraine to host the 2012 Cup. Apparently, a match fixing scandal which included charges brought against at least fourteen officials and referees is not thought to hurt the bid’s chances. Meanwhile, in Hungary, sportswriters are still simmering and locals are still rolling eyes over the money “issues” happening here with Hungary’s most well-known and top-division dominant club Ferencváros and newly promoted Vác. Local daily Nemzeti Sport (“National Sport” in mirror translation) claims that the only thing needed to keep Vác in the Hungarian championship is the Ft. 99 million (approximately $459,000/€363,000/£248,000), the figure by which the club somehow went over budget. A Polish prosecutor has accused the country's football federation of being involved in a scam in which tickets to World Cup matches were sold on the black market. "All indications lead us to believe that tickets for World Cup 2006 matches which were sold illegally came from the batch allocated to the Polish federation," national prosecutor Janusz Kaczmarek was quoted as saying by the Polish media Tuesday. Two men suspected of selling World Cup tickets from the Polish federation's allocation, at highly inflated prices, were arrested last week, and the federation's headquarters were searched on Monday. The two detained men, who are not directly linked to the federation, have pleaded guilty to charges of fraud. The ticket fraud scandal is the latest blot on Polish football's copy book. Not only is the federation is suspected of illegal accounting practices, which have led Poland's tax authorities to announce they will audit the organisation's books, but more than 20 football players, referees and federation officials have been accused of fraud and match-fixing. Federation chief Michal Listkiewicz has announced he will stand down in the autumn because of the charges of corruption levelled against the federation. Aside from its troubles with the law, the federation has been sternly criticised over Poland's early exit from the World Cup in Germany. The national team failed to get past the first round, going down to Germany and Ecuador although they avoided propping up Group A with a 2-1 win over Costa Rica in their final match. — AFP A Polish prosecutor has accused the country's football federation of being involved in a scam in which tickets to World Cup matches were sold on the black market. The campaign to have Auschwitz renamed to reflect that it was run by Nazi Germany suffered a setback after the UN asked Poland to hold further consultations. The country’s government is keen for the official title of the concentration camp to be changed because it fears that references to the camp or its gas chambers as ‘Polish’ will lead future generations to believe it was set up and run by Poles. On Friday Warsaw announced that the name of the site, where some 1.5 million people were killed, had been changed to ‘the Former Nazi German Concentration Camp of Auschwitz’. Culture Minister Kazimierz Ujazdowski hailed the decision as “a victory for both Poland and historical truth”. But UNESCO’s World Heritage Committee, which oversees the world’s major cultural sites, was quick to point out that no decision would be made until Poland had held further discussions with those parties that objected to the change of name. Michael Turner, the Israeli representative on the WHC, said it the issue was too important for the committee to bow to pressure and change the name simply because it had been asked to. WARSAW (AP)--Poland's parliament overwhelmingly approved Friday a bill that will expand greatly the screening of public officials, company bosses, journalists and others in an effort to root out communist-era secret police informers. Lawmakers in the conservative-dominated lower house voted 372-44 to widen the list of public officials who must be vetted. The bill also foresees the publication of a list of secret police officers and informers. Employers would be entitled to use evidence of collaboration as grounds for dismissal. Prime Minister Jaroslaw Kaczynski and his conservative Law and Justice party made a priority of rooting out corruption and removing ex-communists from positions of power when they won parliamentary elections last fall. Under the new law, the number of people required to undergo screening is expected to swell from the current 27,000 to several hundred thousand. Those being vetted will in the future include diplomats, municipal officials, heads of state-owned companies, editors, publishers, journalists and school directors, among others. To date, only leading public officials were subject to vetting. The bill also shifts screening responsibilities from an ombudsman and special courts to the Institute of National Remembrance, a state body that holds communist-era files and makes them available to victims, historians and journalists. All individuals who hold important public posts or a position of public trust and were born before Aug. 1, 1972 will be required to seek a certificate from the Institute of National Remembrance saying whether or not they collaborated with the secret police before communism fell in 1989. Currently, those who run for public office must simply declare whether they collaborated or not. There is no penalty for admitting collaboration, but those who cover it up and are caught face a 10-year ban from holding office. Some, particularly on the right of the political spectrum, have been calling for a wider-ranging effort to expose former collaborators. The issue of secret police files is sensitive in Poland, where having collaborated with the communist-era authorities is viewed as disgraceful by many. But after communism fell in 1989, democratic leaders stopped short of purging informers from public life. The bill passed Friday still needs approval by the senate, where it is expected to pass easily. At bay number four in Wroclaw's bus station, a group of young Poles are standing around in the afternoon sunshine. Among them is Michal Wardas, a 24-year-old university student. He is off to spend the next two months working as a waiter on the Isle of Wight. "I like Britain. The people are friendly. I've been four times in the past two years," Wardas says, dumping his rucksack on the 51-seater Globus coach, and climbing on board for the 20-hour journey to London. The trip will take him through the drab motorway landscape of central Europe - down Germany's autobahns, through Holland and the town of Eindhoven, and into Britain via Calais and the Channel tunnel. There will be lots of free coffee, and videos of Polish comedies and Mr Bean - not a bad introduction to life in Britain, perhaps, for Poles not fluent in English. Wardas's mum, Teresa, has come to wave him off. "I'm very sad he's leaving," she says. "When I grew up you couldn't visit the west. The only place we could go was the Soviet Union. But this is a different generation." What makes this scene in Wroclaw, in south-west Poland, unusual is the epic scale of the exodus. On quiet days six buses leave for "Anglia", the Polish word for England; when it's busy, it is 15. The buses are all full; you have to book. With Ryanair flying twice a day between Wroclaw and Stansted as well, a quick back-of-an-envelope calculation reveals that around 1,000 Wroclavians a day are heading to London, Liverpool, Manchester, Stoke-on-Trent and other UK destinations. Nobody knows how many Poles go back home. But given that the Ryanair fare from Wroclaw to London often costs three times as much as flying in the other direction, it is clear that most of the traffic is heading one way. Wardas is part of the biggest wave of emigration into Britain for three centuries. Official statistics suggest that 228,000 Poles have registered to live and work in Britain since Poland joined the EU in May 2004. Other estimates suggest the real figure is between 350,000 and 500,000, while last week the respected Polish news magazine Polityka estimated that one million Poles have moved to the UK. Some 83% of them are under 34. This benign invasion of eager and biddable young Poles has, it is generally agreed, been marvellous for the British economy and anyone who had previously struggled to find a cheap plumber. But what has the impact been on Poland, where 16.5% of inhabitants are unemployed and the average national wage is just £5,226 per year? Some two years on, there is a growing realisation that the "brain drain" now gripping eastern Europe's biggest country is nothing less than a national disaster. "In my neighbourhood near Warsaw some 25 businesses have closed down," noted Krystyna Iglicka, an expert on demography at Warsaw's Centre for International Relations, this week. "The boy who delivered my pizza has disappeared. My hairdresser has gone. The gardener who used to do my garden now works in Great Britain for a landscape architect. A friend of mine took him. My local garage has shut down. Everyone has moved to Britain or to Ireland." In Wroclaw, Poland's fourth largest city with 675,000 inhabitants, officials are seriously worried. With its Gothic churches, baroque university and languid willow-lined canals, this historic town on the banks of the Odra river could hardly be more enticing. Germany is a few hours' drive away, the Czech Republic and Sudety mountains are nearby. Formerly ruled by the Austrians, Bohemians and the Germans - who left in 1945 - it is probably Poland's most European city. At night tipsy students stagger arm in arm down the restored medieval streets; swallows circle the cathedral's twin towers; you can even see the odd nun sending an SMS. But the problem, as the city's ambitious mayor, Rafal Dutkiewicz, explains, is that much of Wroclaw's educated workforce has gone. "It's irritating that nobody has been talking about this issue," he says, speaking from his office overlooking the Rynek, Wroclaw's pretty cobbled market square. "I'm a big fan of a free Europe. I believe people should be allowed to make their own decisions. At the same time it's my job to try and create an alternative so that not everybody goes off to Britain." The mayor is trying to persuade some of the thousands of Poles who have decamped to Britain to come back. The city has launched an advertising campaign in Polish papers in Britain under the slogan: "Wroc-loves you." It has set up an internet site for homesick Poles (www.terazwroclaw.pl) and taken out radio adverts on Polish radio stations such as Radio Orla in London. It is even sponsoring Polish cultural events - not folk choirs in national costume, but gigs at the 2,000-capacity London Astoria and other major venues. ("We didn't want to do anything too formal. We wanted to get across the message that Wroclaw was cool," says Pawel Romaszkan from Wroclaw's tourism office, who will be touring Britain in September and October, with the message: "Come home." And since 2001, Polityka has launched another scheme called Stay With Us, sponsored by some of Poland's biggest companies, to persuade the country's leading young academics to resist the lure of foreign shores. So far, about 100 rising stars have received around £4,200 to stay put. Unfortunately, most Poles now in London consider the idea of going back to their homeland a non-starter. "Why on earth would I go back?" says 34-year-old Rafal Stanczak from Wroclaw, who has been driving vans in Britain for a year. "Here I get four times the wages I got in Wroclaw, and it is only twice as expensive to live." But it's not just about the money. Ask almost any young Pole in Britain why they are here, and chances are they will say they fancied an adventure. Unlike previous generations, whose only chance to experience the west was on TV, this lot - just like their contemporaries the world over - are keen to travel. "We're living in a free Europe now and I want to see as much of it as possible," says one Pole in London, Jacek Rudnicki. "I love Wroclaw," says 28-year-old Jacek Zelaszkiewicz, who is standing in the city's biggest square, "but I want to see other cities; big places where I won't bump into an ex-girlfriend on every corner." If Wroclaw is unable to tempt people back, there is little hope that the more depressed towns in the region - with their communist-era tower blocks and ageing population - can do any better. Instead, the dire consequences for Poland are becoming increasingly clear. There are labour shortages in several sectors of the Polish economy - in services, trade, the building industry and science. The most acute problem of all, however, is in medicine. Some 5,000 doctors have left Poland over the past two years. In Lower Silesia, where Wroclaw is located, a quarter of all anaesthetists have applied for the special certificate that allows them to work abroad; nationally the figure is 14% (see Agnieszka Walecka case study, p9). One hospital in the region recently suspended operations because all 10 anaesthetists walked out in protest at low pay. Poland's underfunded health service is also running out of nurses. "The situation is drastic. There are too few anaesthetists," says Jerzy Wyszumirski, vice-president of Poland's anaesthetists' association. "Of course this affects patients. Doctors are over-tired, frustrated and in a hurry. We are now working 70 hours a week. In this situation there are bound to be mistakes." Has anyone died yet? "No. But to give you a hypothetical example, in an emergency we may now be able to treat only one patient instead of three." In Poland, an anaesthetist earns as little as 1,200-1,400 zloty a month - £200. A top specialist might get 10,000 zloty - £1,600. Such salaries spectacularly fail to compare with the NHS, where anaesthetists earn £45,000-£110,000 a year, and have far greater opportunities for professional development. Last year Wyszumirski wrote to Poland's health ministry, pointing out that "embarrassingly low wages" meant that all the best doctors were leaving the country. Last month the ministry wrote back. It said it was "monitoring" the situation and promised higher pay and more anaesthetists. Poland's eccentric rightwing coalition government - headed by president Lech Kaczynski and his prime minister twin brother Jaroslaw - appears not to have got to grips with the problem. But even if Poland does manage to train more doctors, it seems inevitable that many of them will end up in Bristol or Glasgow. For the moment, then, the lure of higher wages in the UK is irresistible, not just for middle-class professionals but also for anyone with ambition, prepared to take a low-skilled job and improve their English. According to figures from the Home Office, at least two-thirds of Polish immigrants in Britain take society's lowest paid work. "In England I can earn five times as much as in Poland," says Lukasz Nowak, a 24-year-old student boarding the bus to Anglia. "I've never been in Britain before. But I'm going to stay with a friend. He's promised to find me a job. Apparently it's easy." Can he speak English? "Nie." Those left behind find the exodus to Britain as irritating as it is understandable. "It's our educated young people who are leaving," complains Alicja Zubik, a partner in a successful estate agents in Wroclaw. "The only reason is money. The Polish taxpayer paid for their education in the first place." Her most promising young employee was economics graduate Kamila Smakulska. She set off for London a year ago, and is now working as a waitress. Zubik admits Smakulska has been hard to replace. She points out that at crucial moments in Poland's history much of the country's population has cleared off. It happened when Russia, Austria and Prussia partitioned Poland in the 19th century, effacing it from the map; there was another wave of mass emigration in the early 20th century; then the catastrophe of the second world war, and communist rule. "Poland has been running to catch up. But we keep on falling into a hole. Our skilled people are always leaving," she says. What would her message be to Smakulska and other young Poles in Britain? "I would say, 'Be happy'. Take the best examples and best practices from abroad. And then come back." But Smakulska doesn't feel guilty for leaving - in fact, every Pole we spoke to in London thought that EU membership was a good excuse to desert their country, albeit temporarily: the vast majority say their sojourn in the UK is not permanent. The wave of migration to Britain since 2004 has brought some benefits. Last year Poles working outside their country sent home 22bn zloty - almost £4bn. Economists calculate the money accounted for 1.5% of Poland's economic growth last year, now running at 5%. The country's chronic unemployment rate is also shrinking: there are now 300,000 fewer jobseekers than last year, although this doesn't necessarily point to massive job creation, given the number of people who have left the country. At the same time wages have gone up by 8%. For the first time Polish politicians have started discussing how to fill labour shortages in Poland itself, with calls for restrictions to be lifted so that Ukrainians and Belarussians can come and work. As Poles leave for Britain, workers from even lower-wage countries move to Poland - a sort of globalisation merry-go-round. And if the experience of previous migrations is anything to go by, many of the Poles in Britain will come back. Demographers identify two kinds of migrant - the "hamsters" who curl up and stay in their adopted country, and the "storks" who go abroad seasonally but eventually fly home. "People are leaving," says Rafal Dutkiewicz. "But some will return. When they do, we want to present Wroclaw as a really nice city for them to live in." Back at Wroclaw bus station, the latest coach to Anglia is pulling in. The coach's driver, Gienek, says he likes Britain but would never consider actually living there. "I've travelled all over Europe," he says. "I've been to Italy, France and Germany. I like Britain. But at the end of the day it's nothing special"
"If you can speak English, it's easy to get a job in the UK," says Glijerski, who since February has been in Milton Keynes working for Tesco's massive distribution centre. Everything was organised before he stepped on the plane. He spotted an advert in Gazeta Wyborska, Poland's bestselling newspaper, which said, "Work in Great Britain! Excellent rates of pay!" alongside a freephone number. Glijerski called and, thanks to his language skills and forklift truck licence, soon had a job. Tesco organised everything, including shared accommodation at £60 per week - more, as Glijerski notes wryly, than the going rate in the area. Tesco's pay - just over £8 an hour - is good. A speculator with an excellent economics degree, Glijerski is planning for the future, and much of his wages are put aside to pay for two flats he bought off-plan in Wroclaw last year. "It's frustrating sometimes, having a good education and spending all day every day haring around in a warehouse," he says, "but this isn't a permanent thing." When he has earned enough, he's going to head back over to Wroclaw, move into one of his flats with his girlfriend and become a broker on the stock exchange. He enjoys the job, and says he can understand why some of his colleagues speak badly of the Polish invasion. "I read in the news about Peugeot closing down its plant in Coventry, and other mass redundancies, so I can appreciate how people feel seeing how easy it is for foreigners to get jobs here." One man complained to Glijerski that it was unfair that he, as a Pole, had such a plum job while the British man's wife was unemployed. "He asked me how this could be the case. And because I have a masters in economics I was able to explain it to him." In 2005, after almost 14 years of medical training as an anaesthetist, Walecka was earning 1,750 zloty (£300) a month working at the Lower Silesian Lung Diseases Hospital in Wroclaw. Despite being just one grade below consultant level, she had to take private work in the evenings to supplement her income, and lived with her mother in a semi-detached house in the city. It was not unusual for her to work 24 hours or more at a stretch - which, as she says with droll understatement, "isn't good for anyone, especially anaesthetists". Last year, fed up with working round the clock and frustrated at the lack of training opportunities offered to doctors in Poland, she followed a colleague to Britain. Her first post was at a hospital in Swindon, and since April she has been working at the Charing Cross Hospital in London. Here, her annual salary is around £45,000. She rents a two-bedroom flat in a desirable part of west London and is actively encouraged to take time to get her medical knowledge up to date. Back in Wroclaw, where an astonishing 25% of anaesthetists have applied for the special certificate that allows them to practise abroad, her hospital struggles on. A year ago there were eight anaesthetists, which wasn't nearly enough. Now, with Walecka and her colleague gone, there are six, with no hope of replacing the deserters. Dr Jerzy Wyszumirski, vice-president of Poland's anaesthetists' association, and a former colleague of Walecka, is clearly worried: "We have a real problem. There are not enough of us left. Operations are being cancelled or postponed. The waiting lists are getting longer. We are trying to find new people. 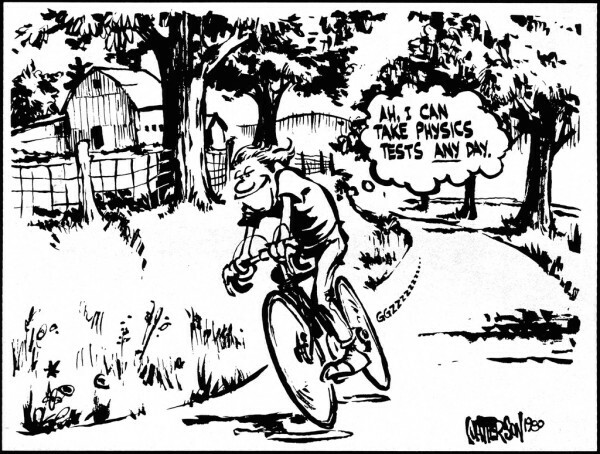 But it's proving very difficult." But Walecka doesn't feel guilty. "I want to help them," she says. "I want to encourage them to come to Britain, where they have the opportunity to really progress in their career. Even if they come for an unpaid placement, it will be worth it for them. It won't even cost them anything; they can stay in my flat." Piotr Dobroniak had a good job back in Wroclaw. After working for seven years at a big cash-and-carry chain in Dlugoleka, 10km from Wroclaw, he had risen through the ranks to become a manager, a very well-regarded position in Poland. By 2005 he had around 40 people working under him and took home 7,000 zloty (almost £1,200) a month, far above the national average of £435. He was happy and well-off, but bored and still, aged 28, having his style cramped by living at home with his mother and grandmother. 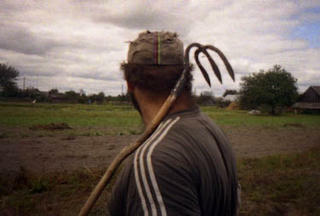 One day, he and a friend were having the usual conversation about what a dead-end place Poland was. This time, they decided to do something about it. Within two weeks Dobroniak was on a bus to London. Twenty hours later, he arrived at Victoria and practised saying "Hello! I'm looking for a job" until he no longer stumbled over the words. Getting a job in Britain as an immigrant is one big Catch-22. For above-board positions, you can't be employed without a British bank account and a National Insurance number; the twist is that you can't get an NI number without backing from a potential employer. Then there was the added problem of his nationality. One of his first jobs was as a builder at the new Wembley stadium. There was a lot of tension between the British and foreign workers. "One day, one of the English guys said, 'It's too bad that Hitler didn't kick your asses properly'," he remembers. Dobroniak now works as a labourer for a stonemasonry company, earning £50 a day before tax. It may be less than he earned back home, but that, he says, is not the point. "Here I feel free." Back in Wroclaw, one of his former colleagues, Michal Grabowski, says the firm has been unable to replace Dobroniak with a worker of the same calibre. "They're just getting weaker and weaker," he says. Grabowski has just enrolled on an English course and hopes to try his luck in Britain within a year. Happy in London, Dobroniak says he may never go back. Things are looking up. He has just had an interview for a job as a manager with Lidl supermarket. He was worried he wouldn't stand a chance because of his shaky English, but the interviewer wasn't perturbed. "After all," she said, "almost all of the workers are Polish anyway." It was the corruption that got to Stanczak in the end. "I just woke up one day last year and knew that I had to get out," he says, in the garden of the three-bedroom house in Seven Sisters, London, that he shares with five other Poles. "Poland is sick. Corruption, affairs, scandals ... I had had enough. I had no wife, no kids and was going nowhere." So he left. Just like that. And he's not regretting it. "Here there is less nepotism. It's more of a meritocracy. You get the job if you've got the skills, not if you know the right people." But more important than work, he says, is the freedom afforded by life in Britain. "Here I have carte blanche to do whatever I want. After one week's work here, I could buy plane tickets to go to Barcelona. I can hop on the tube and go and see concerts. I love it." Back in Wroclaw, his friend Jacek Zelaszkiewicz says he's not surprised that Stanczak upped sticks and left. "No one in Poland can understand that it's OK to be 34 and to have not started a family yet," he says. Though Zelaszkiewicz has his own business running a record shop in Wroclaw, he too is planning to leave. "I have to get the money together to pay my mortgage," he says. It was a combination of love and adventure that brought Kamila Smakulska to Britain a year ago. Her long-term boyfriend, Krysztof, was already in London, and Smakulska had itchy feet. "I just wanted to change something in my life," she says. "I had a good job, working at an estate agents in Wroclaw, and I could live quite well, but even on 2,000 zloty a month (£340) I couldn't afford my own flat and wanted to see something new." She now lives with Krysztof in North Acton, a very Polish area of London. Back home, that wouldn't have been possible unless they were married. "It's a Catholic and cultural thing," she shrugs. She now works as a waitress at Westminster City Hall, earning £200 a week after tax, and is taking English lessons three evenings a week. She was only planning to stay for a few months, but is now thinking about doing a Masters. She misses the main square in Wroclaw, and the Japanese gardens too, but says the only thing that would get her back home right now would be family problems. "The mayor's campaign [to lure Poles back from Britain] will never work," she says. "I know so many people in Wroclaw who can't find a job." Polish Education Minister Roman Giertych, an ultra-nationalist who heads a far-right, anti-Semitic political party, said Wednesday that his decision to attend a Holocaust memorial was "one of the most difficult decisions" of his life. Giertych's highly unusual participation at the memorial for hundreds of Jews killed by their Polish neighbors during World War II came just three days after the Israeli ambassador to Poland publicly announced that he was shunning the minister due to his party's anti-Semitic ideology. That visit, to the Polish town of Jedwabne, was widely seen as Giertych's effort to prove that he himself was not an anti-Semite. "My decision to go to Jedwabne was one of the most difficult decisions of my life," Giertych told The Jerusalem Post in an interview in his Warsaw office. "It is very difficult for my electorate to understand such a visit," he added, noting that his "gesture" to the State of Israel - a gesture that, he said, carried a personal political risk - had already been criticized in certain circles. "It was necessary to finish this discussion about Polish anti-Semitism, which we have to cut off," he said, explaining his reasons for participating in the ceremony. "We have to cut off this path, this obsession, and to crate a new future," he added. In the interview, the populist education minister, whose grandfather was a notorious anti-Semite and whose party's youth wing has been known to make Nazi salutes and chant Nazi slogans, disassociated himself from his party's anti-Semitic past and roots. "I did not always agree with my grandfather," he offered, suggesting that holding him responsible for his party's roots was the equivalent of holding the Conservative Party in Britain responsible for what happened under Cromwell. Giertych's grandfather was a staunch advocate of anti-Jewish boycotts. "I am not going to hide that in my closest circle, a lot of stupid statements have been said," he responded when asked about past comments made by a party colleague, who denied that Auschwitz was an extermination camp and who claimed that Jews there had more bread than the Poles. Giertych, who also serves as deputy prime minister and who was appointed to the education ministry in February as part of the government's coalition with two fringe parties, suggested that some Poles had a psychological complex that made it difficult for them to empathize with Jewish victims of the Holocaust due to their own suffering during World War II. "It is difficult to demonstrate sympathy and compassion when you yourself suffered a lot," he said. He added, "There is a certain psychological difficulty that we face that will have to be overcome." Giertych asserted that it was impolite and non-diplomatic of Ambassador David Peleg to announce that he would boycott him, adding that the ambassador was interfering in Polish internal affairs. Peleg said last week that it was "incomprehensible" that issues like Israeli-Polish youth exchanges - considered a cornerstone of future relations between the two countries - and Holocaust issues be directed by the head of an anti-Semitic party. The discord over the move follows a decade of burgeoning Israeli-Polish relations, with governmental relations between the two countries now considered to be among the best in Europe. The Polish government is expect to announce shortly the establishment of a special department dealing with the issue that will work out of the Prime Minister's Office in an effort to resolve Israeli criticism as well as further broaden youth exchanges between the two countries. 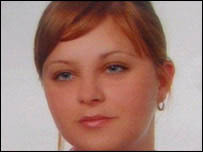 The investigation into the death of a Polish woman is to feature on the BBC Crimewatch programme this month. The body of trainee accountant Kamila Garsztka, 26, was found on 24 January at Priory Lake in Bedford. Ms Garsztka was last seen in public on 12 December when she boarded a train at Bedford for a visit to Brighton. On Wednesday a police appeal is going to be made on Crimewatch who will show recently released CCTV footage of her the night she vanished. Ms Garsztka's parents Sigmund and Gabriella flew to Bedford last week from their home in Posnan, Poland, to see some of the key sites in the investigation. They were taken to the Priory Country Park where they filmed an emotional appeal for help in catching the person responsible for Kamila's death. WARSAW (AFP) - Poland's newly sworn-in conservative government back-pedalled on a promise to pursue key reforms to public finances, saying the reform drive was in such a state, it would have to be put back until next year. "The state of preparation of reforms to public finances is such that there is some doubt as to whether they can be introduced this year. They will therefore be delayed until next year," Prime Minister Jaroslaw Kaczynski said after his government held its first meeting, right after being sworn in by the premier's twin, President Lech Kaczynski. Under the previous government, led by Kazimierz Marcinkiewicz, Poland launched reforms aimed at restructuring public expenditures and bringing its deficit into line with the so-called Maastricht convergence criteria for joining the single currency eurozone -- even if the country has not set a date for adopting the euro. Marcinkiewicz stunned Poland-watchers last week when he announced he was resigning. He was replaced at the start of this week by Jaroslaw Kaczynski, who almost immediately made reassuring statements about how his government would pursue the public finance reforms and take other steps to foster economic stability. Some experts have said that Marcinkiewicz was shown the door by the Kaczynski brothers because he was becoming too independent for the twins' liking. Marcinkiewicz personally chose Pawel Wojciechowski earlier this month to replace former finance minister Zyta Gilowska, who had launched the finance reforms but was fired in June amid a scandal over her alleged communist past. She has said she was forced from office because the reforms she had set in motion "affected a lot of people". Jaroslaw Kaczynski said Friday he would welcome Gilowska back into the government if she is cleared by an official probe of accusations that she lied about her ties with the communist secret police. On Friday, the only changes to the new government were the appointment of Stanislaw Kluza to the finance ministry and the creation of a new cabinet post -- minister without portfolio in charge of coordinating the cabinet's activities. The new post went to Jaroslaw Kaczynski's aide, Przemyslaw Gosiewski; Kluza became Poland's fourth finance minister in nine months. Jaroslaw Kaczynski outlined his government's foreign policy, saying it would be more "national" in its outlook while focussing on "membership in the European Union and NATO, and our alliance with the United States," he said. "We will, however, need to be bolder and more determined, because Poland's opportunities in the international arena have not been adequately exploited," he said. The Marcinkiewicz government waged several ill-strategised battles against Poland's European partners, all with the aim of defending Poland's supposedly superior interests. Poland vetoed an EU accord on reduced rates of value added tax for certain services before back-tracking two days later. For months, it blocked the merger of Italian banking group UniCredit's Polish units, but eventually gave in after stern warnings from the European Commission. And it spoke out against large foreign-owned hypermarkets, even though they are some of the biggest investors and job-creators in Poland. Jaroslaw Kaczynski's government will officially take up its functions after its programme has been approved by lawmakers next week. Parliament is widely expected to approve the programme because the Kaczynski brothers' Law and Justice (PiS) party has been in a coalition since May with the far-right League of Polish Families and the populist Samoobrona parties, which has 239 votes in the 460-seat lower house. Opposition parties warned Friday that the new government would probably do Poland more harm than good. "The Jaroslaw Kaczynski government will not guarantee peace, dignity or a good international position for Poland," said Donald Tusk, leader of the business-friendly, liberal opposition Civic Platform (PO) party. The head of the Democratic Left Alliance (SLD) parliamentary caucus Jerzy Szmajdzinski warned that the policies of the new government would be "Euro-sceptical, conservative and populist." The family of a murdered Polish man shot in the head and dumped in Essex have issued an appeal for information to help catch his killer. Rafal Czapczyk, 29, was found in a car park off Wake Road, Epping Forest, on 16 July 2005, and later died in hospital. Mr Czapczyk's family called on anyone with information to contact the police. "His death has caused us unbearable pain, sorrow and unanswered questions," they said in a statement on Saturday. They believed Mr Czapczyk was travelling to enjoy a "more interesting" life when he left Poland in January last year. "We have no memories of his life after he left Poland; the time he spent away from us was shared with his new friends who we did not have the opportunity to meet," they continued. "We would like to appeal to anyone who met Rafal after he left Poland on 19 January, 2005 to help us reconstruct the last months of his life. Your help may assist us to understand and be a part of it. "We would ask that anybody who knew Rafal when he came to England or knows anything about his murder to contact police." Five men have been arrested in connection with Mr Czapczyk's death and are currently on police bail. Jan T. Gross, a Princeton professor, has written an astonishing book, an exposé of vicious anti-Semitism, complete with medieval, murderous pogroms raging in Poland -- after the end of World War II. "Fear: Anti-Semitism in Poland After Auschwitz" (Random House, 336 pps., $25.95) documents in meticulous detail how, after the Nazi defeat, Polish citizens of all classes set upon the remaining Jews in their communities and murdered them outright. During the 1946 Kielce pogrom, soldiers who were called to the scene to restore order instead tossed women out of windows. In the courtyard below, townspeople finished off those not yet dead. Blood pooled in the streets as people executed their Jewish neighbors mercilessly. An infant was shot in the head, its mother already dead, because, the murderer says, "It was crying." On trains, boys in a youth group dutifully move from car to car singling out the Jewish passengers, the more readily for them to be murdered at the next stop, where a bloodthirsty mob waits impatiently. Gross supplies impeccable documentation: witness testimony, court testimony from the desultory trials (most of the killers got off), letters, diaries, films. All tell the same story: Anti-Semitism was so embedded in the culture of Poland that even witnessing the outrages of Auschwitz and Treblinka, which were not concealed from sight, did not dissuade large sections of the Polish population from the murderous project of cleansing their country of Jews. Only in their being less well-organized did they differ from their Nazi occupiers. The old order and the army, the new Communist apparatus, the cardinal and his bishops -- all conspired to kill Poland's remaining Jews (90 percent already had perished) or to drive them out of the country for good. Gross exposes how this brutality unfolded in contradistinction to the "Romantic" Polish tradition, he writes, "of nurturing the weak and defending the persecuted." Many Poles who had shielded or rescued Jews from the Nazis tried desperately to keep their identities secret so that their neighbors would not murder them. In one of his very helpful and copious footnotes, Gross invokes that paradigmatic scene from Primo Levi's classic "Survival in Auschwitz." Levi, newly arrived, was dying of thirst, longing for a drink of water which was not, of course, forthcoming. At last, he seized an icicle and lifted it to his lips, only for it to be knocked away by a guard. Perplexed, because he was a young man and not yet initiated into the Nazi landscape, Levi asked: "Why?" The guard offered a ready answer: "Hier ist kein warum": Here there is no why. Gross dutifully attempts to examine why so many Poles of all social classes revealed themselves to be so brutish and lacking in compassion as to have excluded themselves from civilization itself. He can discover no answer. Gross wonders whether the Nazis had corrupted many Poles by exterminating the Jews openly. But then he notes that pogroms were flourishing before the time of the camps. Gross finds no explanation for these horrendous deeds because there is none. He is looking at pure, unregenerate evil. For a second review on this book, please look "HERE"
United Nations has agreed to rename Auschwitz concentration camp to stress that Nazi Germans, not Poles, were responsible for the world’s most notorious death camp, Poland’s Culture Ministry said. “Auschwitz Concentration Camp,” a UN heritage site, will be renamed “the Former Nazi German Concentration Camp of Auschwitz,” the ministry said. “This decision marks a victory for both Poland and historical truth,” Culture Minister Kazimierz Ujazdowski told a news conference. Poland asked the UN to rename Auschwitz in April. Some 1.5 million people, mostly Jews, died at the camp during World War Two.Ujazdowski said Israel and German officials had agreed to the new name. Warsaw objects to references to “Polish gas chambers” at the “Polish concentration camp” in foreign media. Nearly 3 million non-Jewish Poles died at Nazi hands, and Poles see themselves as victims of the war.“We hope this will help correct the misconception that Auschwitz is a Polish death camp,” Ujazdowski said. The role of Poles in the deaths of millions of Polish Jews, and at Auschwitz, is a sore topic. Some accounts say Poles assisted the Nazis at Auschwitz, where 6,000 died every day during 1944. This month, Jewish and Polish officials marked anniversaries of two massacres of Jews carried out by Poles before and after World War Two. But Poles say their fellow nationals risked their lives to hide Jews. Poles are the largest group awarded Israel’s Righteous Among the Nations title for helping to save Jews. Some Jews were angered that Poland’s communist government portrayed Auschwitz in the 1940s and 1950s as a place of martyrdom of Poles, too. Poles, Gypsies, homosexuals and Russians also died at the camp. A few weeks ago, during Pope Benedict’s visit to Poland, Poland’s Chief Rabbi Michael Schudrich was attacked by a Pole yelling anti-Semetic epithets. The attack, though not serious, made headlines around the world. Many thought that with the recent regime change there would be little action taken by the government to find and punish the attacker. This week, however, it was announced that a person was arrested and charged for the Shabbat morning attack outside the Warsaw Synagogue. This is a hopeful sign that the new government will have good relations with the Jewish community. Polish police arrested the administrator of a neo-Nazi website and shut the site down. The move against the Polish version of the Blood and Honor site follows a small wave of extremist threats and violence in April and May, much of it linked to the group. Police worked closely with U.S. authorities to discover the identity of the Polish administrator of the site. By some estimates, there are hundreds of hate sites in Poland, but they’re hard to close as their servers are usually based outside the country and sites can easily migrate. Blood and Honor is a neo-Nazi group with supporters across Europe. The Polish edition of Newsweek ran a cover story on the Polish branch of Blood and Honor in mid-June, estimating that it was one of the strongest of the group’s subsidiaries, with hundreds of thousands of members. Warsaw (Puls Biznesu) – After stormy disputes, the GSM of PZU, Poland’s largest insurance company, decided yesterday to pay out PLN 1.35 billion (EUR 335.2m) of dividend. Just before the GSM started, the main shareholders, i.e. the Treasury (55.1 percent of shares) and the Dutch Eureko (32 percent) quarreled. Agata Rowinska representing the state wanted two points to be crossed out from the agenda. The first one was the information about PZU’s preparations for the IPO. The second one provided for discussing a motivation scheme for the management after the company is listed. Both points were proposed by Eureko. “It is not legal”, Ernst Jansen, Eureko deputy CEO protested. Neill Harvey-Smith, Director of Debate Chamber, lived and worked in Poland from 1994-99. He argues that this week’s news from Warsaw is not a heartwarming story of twins at the top but a more sinister tale of extremists at the heart of government. Poland’s other coalition parties are even more disturbing. The League of Polish Families is a devoutly pro-Catholic party which openly professes hatred of liberal Western values and devotes paragraph 11 of its programme to telling voters “we are against homosexual relations”. The Poles are a nation of 40 million people and a diaspora of many millions more across the world. Perennial opponents of the England football team and masters of a language with three types of “z”, Polska is one of the new breed of European Union member states from beyond the Iron Curtain. And now, Poland is the only country to be run by identical twins. President Lech Kaczynski appointed his elder brother, Jaroslaw, to the post, having sacked, in Kazimierz Marcinkiewicz, a man with an impressive 62% approval rating (I warned you about the “z”s). But their bloodline is not the real story. The new Prime Minister, having twice banned the gay pride march in Warsaw during his previous job, will head a coalition of even more extreme parties. The lead partner, Law and Justice, is a populist anti-crime and Eurosceptic grouping. President Kaczynski pulled out of a meeting with the French President and German Chancellor last week and his attitude to EU partners has been temperamental. Poland’s other coalition parties are even more disturbing. The League of Polish Families is a devoutly pro-Catholic party which openly professes hatred of liberal Western values and devotes paragraph 11 of its programme to telling voters “we are against homosexual relations”. Self Defence started as a violent movement of agricultural workers. Its programme tells us “a nation cannot be multiethnic” and espouses a “turn away from Satanic liberal values”; the party is a pro-Catholic, anti-liberal movement which opposes foreign investment as “colonial”. So where did it all go wrong? After the Solidarity trade union stormed to victory in parliamentary elections in 1989, Poland enjoyed free presidential elections in 1990, where former electrician and symbol of the anti-communist fight Lech Walesa came to power. Stalin once remarked that imposing Communism on Poland was like trying to saddle a cow. But capitalism has not come easily either. An ex-communist, Aleksander Kwasniewski, beat Walesa to the top job in 1995 and 2000 as many people grew tired of change and disappointed in the new Poland. Unemployment has been around 20% for over a decade, leaving millions of young people without the means to make an honest living. While Poland has now entered the EU and NATO, massive problems remain for ordinary people. Agriculture supports a quarter of the population, an unsustainable number in a modern, developed country. The social welfare system is both expensive and low quality by European standards. Successive governments have been tainted by instability and corruption. In the popular imagination, Poland since 1989 has been governed by a liberal elite which has sold off her assets, feathered its own nests and led a moral decline. New parties like Law and Justice, the League of Polish Families and Self Defence all position themselves as outsiders, representing the real interests of the people against a remote liberal elite. Now they have secured enough public support to govern together. A Government of twin Kaczynskis risks turning Poland into the most xenophobic, insular, backward country in Europe. At the moment when European liberal values have most to offer the country, employing Polish young people, providing inward investment and giving opportunities for all to pursue happiness in their own way, the Polish government is in the hand of reactionaries who wish to start a “moral revolution” against the freedoms we take for granted. 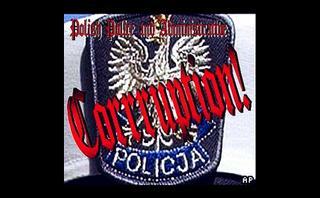 A new organisation set up to tackle corruption has been established in Warsaw. Throughout the past decade Poland's image and international reputation has been tarnished due to continuous cases of bribery and illegal dealings in the halls of Parliament and commerce. The ruling rightist Law and Justice party won last year's egenarl election largely on an anti-corruption ticket. The creation of the agency is seen as the first step in the government's effort to clean up Poland. This report is by Bogdan Zaryn and Matthew Luxmoore. The Anti-Corruption Bureau (CBA) is the country's response to large numbers of reported suspicious business deals, many of which smelt of palm-greasing. The new system will employ almost 1500 people. Mariusz Kaminski of the ruling conservative Law and Justice Party, the newly appointed head of the organisation, is confidenthe c an take on Poland's corruption. "Everything is being built from scratch. The system is one of high technological advancement; each person will be screened accordingly." The conservative Prime Minister Kazimierz Marcinkiewicz claims that the bureau will be an effective prescence in the fight against dishonest practices. The first target is the football scene, where a series of corruption scandals have just come to light. "This bureau will monitor and check the administration of my government, every administration. This is an organisation that must create conditions for honest activity within public relations and the economy." Magdalena Brennek from the Polish Chapter of Transparency Internatioonal argues that Poland has finally decided that it is vital to tackle dubious business practices. She believes the bureau won't just be a toothless watchdog. "The draft law gives this bureau enormous power as far as investigation and surveilance are concerned. Using these it can really bring to light corruption scandals." But not everyone agrees that Poland needs such an anti-corruption bureau. Warsaw criminal lawyer Dagmara Woznikowska thinks that it will just double up on other institution's work. "The thing is that in Poland we have the proper tools to fight corruption. We have prosecutors, tax officers and all the possibilities to punish the people who are taking money illegally, but we don't use it properly, or we don't want to use it. We don't really need another institution to fight wrongdoing of any kind." But Magdalena Brennek from the Polish chapter of Transparency International thinks that Poland needs to improve its image abroad, also with the help of the anti-corruption bureau. She's not so sure, though, if the bhureau itself can manage to stampm out corruption. "The law does not provide any provisions for prevention and that's the most important thing. If the new committee is effective then it will certainly change the country's image." Over the past several years Poland has been involved in several high-profile corruption scandals featuring top politicians and businessmen. Transparency International has placed it on a shortlist of countries which have the highest level of corruption. Observers are hoping that with the new investigative powers, the anti-corruption bureau will steer clear of politics. WARSAW, Poland, July 12 (UPI) -- More than 1,000 Polish police and firefighters marched through downtown Warsaw Wednesday, protesting low wages and poor work conditions. Antony Duda, chief of the police union, said the protest was aimed at publicizing that Polish police have the lowest wages in the European Union, the Polish PAP news agency said. Duda said work conditions were so bad that 40 percent of police stations should be closed. Union leaders of the police, firefighters, border guards and state bodyguards are demanding authorities work out a law on modernization of the services by 2009, Belgrade's Beta news agency reported. The organizers of the march said they expect about 3,500 protesters from around the country will gather in Warsaw. The protesters plan to deliver their written demands to Polish leaders, PAP said. WARSAW, Poland, July 12 (UPI) -- Polish Roman Catholic priest Michal Czajkowski has admitted to spying for the former communist state secret police, the PAP news agency said. Czajkowski was accused of spying for the communist regime from 1960-84, the BBC reported Wednesday. In May, Polish media reported government documents claim some 6,000 Catholic priests were listed as pro-communist spies. In a statement released Tuesday, Czajkowski said his "guilt is beyond discussion" and asked for forgiveness. "I have already expressed my repentance to God. Now I am doing the same with people," the priest said. Czajkowski originally denied the allegations published in media reports in May, but soon afterward he resigned his post as co-chairman in the Polish Christian-Jewish council. The Institute of National Remembrance, a Polish body investigating communist-era crimes, said it has evidence that Czajkowski was an informer for the secret police. chance to clear her name. case," due to her willingness to subject herself to the proceedings. Jaroslaw Kaczynski's appointment to the prime minister post. According to reports from Prague, a fourth set of legal proceedings over the scandal-plagued Unipetrol sell-off are likely after a Czech firm vowed to prosecute Poland's PKN Orlen for breach of contract. Andrej Brabis is the owner of the Czech agricultural and bioproducts group Agrofert, and he has told the Mlada Fronta Dnes (MfD) newspaper that he is to take legal action against the Polish oil group after it failed to implement an agreement to sell five Unipetrol units to Agrofert. AdvertisementAgrofert claims that contracts were signed with PKN in 2003 and 2004 whereby part of Unipetrol would be sold to Agrofert if PKN won the tender to buy the then newly-privatized Czech oil group. "We will require damages worth more than CZK20 billion for the breach of the contracts," Mr Babis told MfD. "It will be one of the biggest arbitration cases in the history of the Czech Republic." The Unipetrol privatization has been mired in controversy for some months as allegations of political interference in favor of PKN's purchase continue to appear in the local media. The allegations center on the accusation that the Czech government sold the firm to PKN despite receiving several bids from other companies of higher value. Since then, Czech television has apparently carried reports alleging financial favors were paid by a Polish political lobbyist to a leading Czech minister in an apparent attempt to influence the sale in PKN's favor. WARSAW, Poland --Poland's prime minister offered to resign Friday and his replacement could look a lot like the current president. Justice party said in a statement that it has recommended that President Lech Kaczynski's identical twin brother Jaroslaw replace Prime Minister Kazimierz Marcinkiewicz. Party chairman Jaroslaw Kaczynski did not seek the prime minister's job last year because the brothers believed then that most people wouldn't want identical twins in Poland's two top political posts. Kazimierz Marcinkiewicz became prime minister instead. It was not immediately clear when any change might happen, and the statement offered no reasons for Marcinkiewicz's offer to step down. Deputy party leader Adam Lipinski told Poland's PAP news agency that the party leadership would meet Saturday to consider Marcinkiewicz's offer to step down. There have been recent reports of a rift between Marcinkiewicz and Jaroslaw Kaczynski over the economic policy of Poland, the largest of 10 mostly ex-communist nations that joined the European Union in 2004. WARSAW, Poland -- A top Polish soccer league official suspected of match-fixing was detained by police Wednesday in part of a widening scandal. Since opening an investigation last year, prosecutors in the western city of Wroclaw have pressed charges against some 20 people on match-fixing and bribery charges in Poland's domestic soccer leagues. On Wednesday, Wroclaw police detained a soccer referee "on suspicion of participation in a criminal group that rigged first and second-division matches," Wroclaw police spokesman Pawel Petrykowski told The Associated Press. Four people, including two referees, were arrested on corruption charges last week. The alleged ringleader, identified only as Ryszard F. in keeping with Polish privacy laws, was detained on charges of rigging first- and second-division matches from 2000-2006. He allegedly handed out bribes to referees and received an estimated $130,000. If convicted, he could face up to 10 years in prison. In response to the allegations, Prime Minister Kazimierz Marcinkiewicz has launched a probe into Poland's soccer federation Monday. WARSAW, Poland (AP) - Poland's prime minister announced a probe into the Polish soccer federation following allegations of corruption and a string of match-fixing scandals Monday. The finance, sport and justice ministries will investigate the federation's taxes and finances. Prosecutors will also continue with a probe of match-fixing and alleged corruption in local branches and at the top levels of the federation. Prime Minister Kazimierz Marcinkiewicz also called on the association to make its budget public. "All these actions will be undertaken to fix the situation in the Polish Soccer Federation," Marcinkiewicz said. "This is very important for sport in Poland, and of course we are all very interested in soccer." Marcinkiewicz pledged the investigation "will have no negative impact" on Poland's joint bid with neighbouring Ukraine to host the 2012 European championship. Soccer federation spokesman Michal Kocieba said the association "does not fear" the investigation. "Our finances are in line, and we have nothing to hide," he said in remarks shown on TVN24 television. The first and second divisions of Poland's domestic league have recently been rocked by match-rigging scandals. Since opening an investigation last year, prosecutors in the western city of Wroclaw have pressed charges against some 20 people on match-fixing and bribery charges. Last Wednesday, Wroclaw police arrested four people on corruption charges, including two referees. The alleged ringleader, identified only as Ryszard F. due to Polish privacy laws, was arrested on charges of heading an organized criminal group and for rigging first-and second-division matches from 2000-2006. The suspect allegedly handed out bribes to referees and raked in an estimated 420,000 zlotys ($130,000 US). If convicted, he could face up to 10 years in prison. WARSAW, July 3 (Reuters) - Poland's conservative government ordered investigations into domestic football's governing body on Monday after new arrests in a year-long corruption scandal which officials say may have some way to run. Four referees and football association (PZPN) officials were arrested on charges of match-fixing last week, bringing the total detained into double figures since last May. The justice ministry and prosecutors said last week the detentions were part of a wider probe into a match-fixing ring and that they suspected other officials in PZPN could be involved. "We have signals for several months about the things that are wrong in PZPN," Prime Minister Kazimierz Marcinkiewicz told a news conference launching the audits by tax authorities and the sports ministry. "This has provoked action. We did not take these steps earlier due to the preparations for the World Cup finals. Now we have to." After a failed World Cup campaign which prompted calls for heads to roll at PZPN, commentators say the move may be a prelude to appointing an emergency administrator. If the government finds evidence of wrongdoing in bookkeeping and other areas, it will have grounds for justifying its intervention in the organisation to the game's world and European governing bodies. The issue is particularly sensitive given Poland and Ukraine's joint bid to host the 2012 European Championships, due to be decided on by December in a three-way race with Italy and a joint offer by Croatia and Hungary. "I am calm and confident (about this investigation)," PZPN chief Michal Listkiewicz told daily Gazeta Wyborcza. "We already had one such audit several years ago and it helped us to make a lot of improvements in how we operate. I hope this will do the same." Critics blame Listkiewicz for failing to invest in football's lower echelons, hit by years of underfunding and a shortage of pitches and modern facilities left over from the communist era, while PZPN's bloated bureaucracy flourishes. The European Union's sixth biggest country with a population of 38 million, Poland has been starved of success since the national team took third place in the 1974 and 1982 World Cups. Their World Cup hopes were scuppered last month by two opening defeats by Ecuador and Germany. 'We have signals for several months about the things that are wrong in PZPN,' Prime Minister Kazimierz Marcinkiewicz told a news conference launching the audits by tax authorities and the sports ministry. 'I am calm and confident (about this investigation),' PZPN chief Michal Listkiewicz told daily Gazeta Wyborcza. WARSAW: Polish Defence Minister Radoslaw Sikorski declared war yesterday on corruption in the army, where shady practices extend even to the selection of soldiers for dangerous but lucrative missions in Iraq. Astonished at the level of graft he has unearthed since his appointment eight months ago, Sikorski vowed to root out practices such as the sale of diplomas to soldiers bound for missions abroad that “prove” they speak English. “I’m sending out a warning. The era of leniency is gone. While I’m in this post, there will be no tolerance for those who break the law or tarnish the honour of Polish officers,” Sikorski told a news conference. The defence minister said that several dozen corruption probes were underway in the armed forces, “one of which concerns a general”. One of the many ways Polish soldiers have invented to manipulate the system concerns the way troops are chosen for foreign missions, particularly in Iraq. “In order to go to Iraq without waiting on a list of applicants, at least 14 soldiers paid bribes to officials in charge of recruitment for the missions,” General Boguslaw Pacek, the head of Polish military police, told the news conference. Poles serving in Iraq earn on average $1,200 a month – about double the average Polish salary – on top of their basic wage of $255. Poland currently has 2,200 soldiers serving in missions abroad, particularly in Iraq, Afghanistan and the Democratic Republic of the Congo. Sikorski also condemned irregularities in awarding soldiers diplomas that attest to their level of English. Soldiers need such diplomas to serve abroad. “I’ve found that the real knowledge of English by certain soldiers does not correspond to the level attributed to them by their language proficiency diploma,” the minister said. “This is a fundamental problem with security implications,” he added. While some were happy to pay to go to Iraq, other young men were prepared to shell out to avoid having to perform compulsory military service, said military police chief Pacek. Officials in charge of conscription have accepted bribes of 1,000 euros, he added.